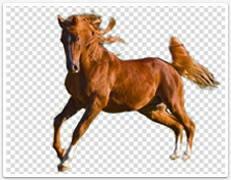 Instantly remove background from image for Mac within 1 min instead of 1 hour. 20 Background Transition Effects are available. The easiest way to AUTO cut out object from photo on Mac. Super PhotoCut is available for OSX 10.7+, iMac, Macbook Mini, Air, Mountain lion, Macbook Pro, Yosemite, mavericks, EI Capitan, Sierra. Super PhotoCut is a powerful mac app to remove background from picture. Tutorials of how to remove the background of a picture on a mac? -Precision Tool: The only mac background remover tool for making red/green marks to extremely fast remove photo background mac without sacrificing quality. -Simple Interface with real-time feedback: Instant preview final result. Just stay focused and save time. See tutorials of how to remove background in preview mac? -Smart Algorithm: Enjoy the least amount of work for the best image cut out quality. -Zoom and Pan to any level: Nothing is more productive than inspecting super photocut details while navigating your image. -Auto-Save: No fear of losing your edits. No hassle of dealing with backups. Just enjoy your editing time to easily cut photo out on mac. 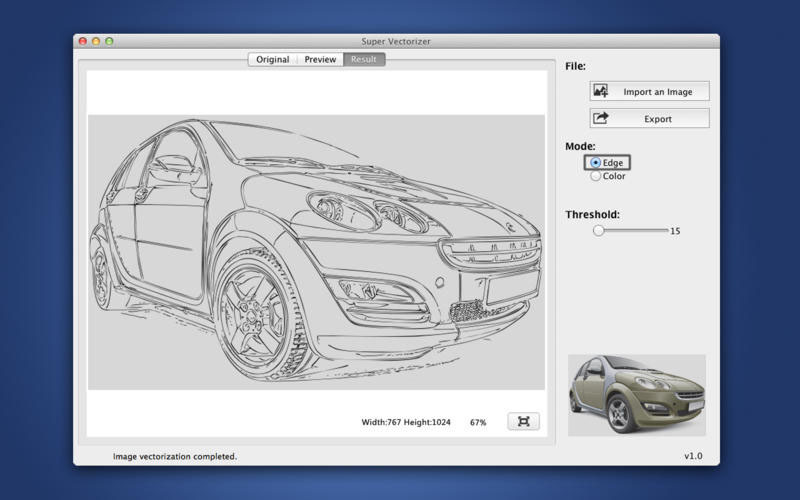 -Configurable Auto-Brush-Size: The mark size adapts dynamically to your zoom level so that you can easily zoom in to make detailed edits, cutout object, remove background from picture on Mac. Remove background from image on Mac is a difficult task in the past. 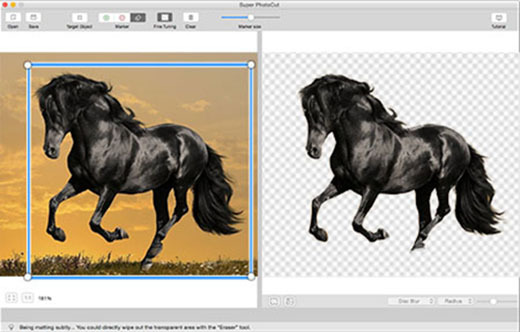 Now, you can get Super PhotoCut mac app to remove background from picture and dramatic background cut out images done in seconds-to-minutes instead of minutes-to-hours. Unlike those image background remover for Mac in the market, Super PhotoCut doesn't require any Mac background remover skills. You just need mark the object with a rectangle to obtain the desired result. 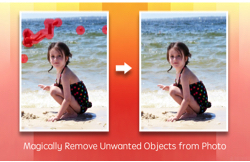 Super PhotoCut background remover for Mac will automatically cut objects out for you. Super PhotoCut app for Mac removes background from image, speeds up your design process, enhance your design time and improves the quality of your photos! It will save you hours that you usually spent on removing image background on Mac using Photoshop. It is time to say goodbye to the PhotoShop lasso photocut and magic wand tool in order to remove background from image for Mac. You can quickly remove a background from image for Mac to accent or highlight the subject of the picture or to remove distracting detail without downloading photoshop anymore. Mark some foreground green and some background red Stay focused on every part and edge of the image with live feedback Enhance your photo graphic design skills for a more realistic-looking result! Product photos with background removal, for instance, are more acceptable in popular websites like Ebay and eventually can gradually help gain more sales. Images with no background make business presentations look more professional, focused, and convincing. No matter you are professional photo graphic designers or not, you can easily remove image background for Mac with Super PhotoCut no matter how tiring it is. People all over the world use Super PhotoCut every day to remove background image for Mac. Try it out today to be more creativity! How to remove background from image for Mac with Super PhotoCut Software? Learn the basics of how to remove background mac with Super PhotoCut for Mac: how to apply the red / green marks, and how to deal with some common pitfalls. How to remove background in mac with Super PhotoCut Fine Turning tool? Step by Steps Guides of how to remove background from picture on mac? 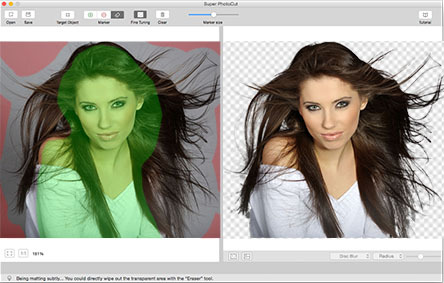 Get the amazing PhotoCut software to Remove Background from Image for Mac NOW! Photo Background Remover for Mac is available for OS X 10.7, 10.8, 10.9, 10.10, 10.11, 10.12, iMac, Macbook Mini, Macbook air, Mountain lion, Macbook Pro, Yosemite, mavericks, EI Capitan, macOS Sierra. No more wasted hours to try other image background erasers for mac. 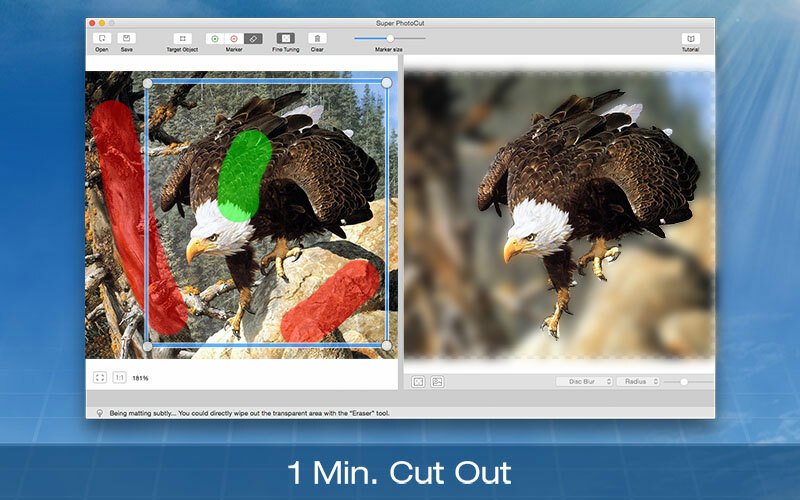 PhotoCut only takes seconds-to-minutes to remove photo background on mac. Smartly remove image background mac. Great image cut out results are always yours! A combination of intuitive interface, powerful background eraser for mac tools, and detailed how to remove background in mac tutorials are so perfect that makes you feel no hassle and stress.